The chairman of the Culture, Media and Sport (CMS) select committee has said Britain’s reputation as a cycling superpower beyond reproach is “in tatters”. Damian Collins was speaking after UK Anti-Doping (UKAD) boss Nicole Sapstead updated the panel of MPs on her agency’s investigation into allegations of wrongdoing at British Cycling and Team Sky. Sapstead explained UKAD still did not know what was in a package hand-delivered to Sir Bradley Wiggins’ doctor Richard Freeman at the end of the 2011 Criterium du Dauphine, a week-long race in France won by Wiggins. …this is death by a 1,000 cuts (& man hours!) for the reputations of some very big names. Sitting here, it's hard to know where it stops..
..thought BC's medical records would be bad but not that bad. But then internal audit of the kit stores was shocking, too. Just very slack. Not knowing who was ordering which drugs & for who, not keeping a record of when they were taken or how they were transported…. …just not good enough for an NGB & a pro team that rich & that successful, especially given cycling's history & promises made to fans. She said UKAD has spent 1,000 man hours trying to find out if that package contained legal decongestant Fluimucil, as Freeman claims, or banned corticosteroid Kenalog, as a tip-off in September alleges, but is still none the wiser. When asked why Freeman, who was too ill to appear before the panel, cannot prove he gave Wiggins Fluimucil that day, she said: “He kept medical records on a laptop and he was meant, according to Team Sky policy, to upload those records to a Dropbox the other team doctors had access to. Speaking after the hearing, Collins said: “The credibility of Team Sky and British Cycling is in tatters – they are in a terrible position. “It seems very confused as to what drugs are being used by British Cycling and what are being used by Team Sky. The impression given is that a doctor like Dr Freeman has just been ordering drugs at will and no record is being kept of what he is doing with them. 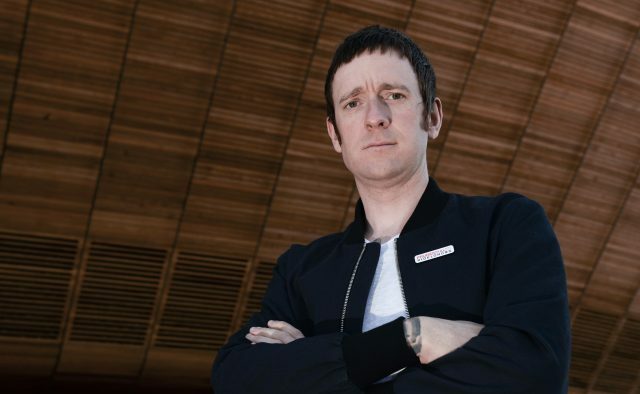 Wiggins, who retired in December after a glittering career, told UKAD he was given Fluimucil, via a nebuliser, at the end of the race but his representatives declined to comment on Wednesday. The 2012 Tour de France champion and five-time Olympic gold medallist has been under intense scrutiny since it emerged in September he had been given special permission for injections of Kenalog before his three biggest races in 2011, 2012 and 2013, including before that Tour victory. British Cycling, which has presided over Britain’s most successful Olympic and Paralympic team over the last decade, has issued a long mea culpa, admitting “serious failings”, but said its “medicines management processes” have been improved.